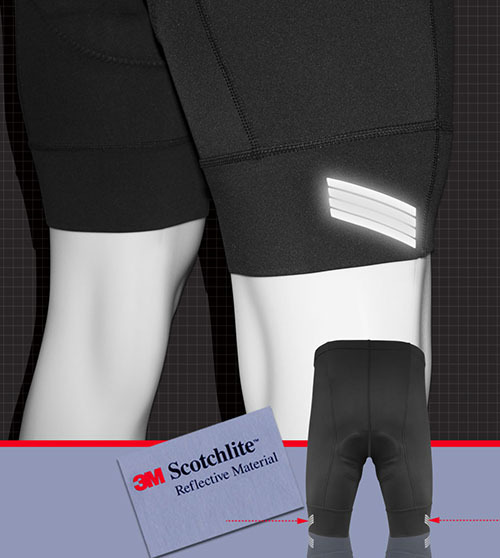 ATD elastic-free leg cuffs are soft, non-binding and very comfortable! 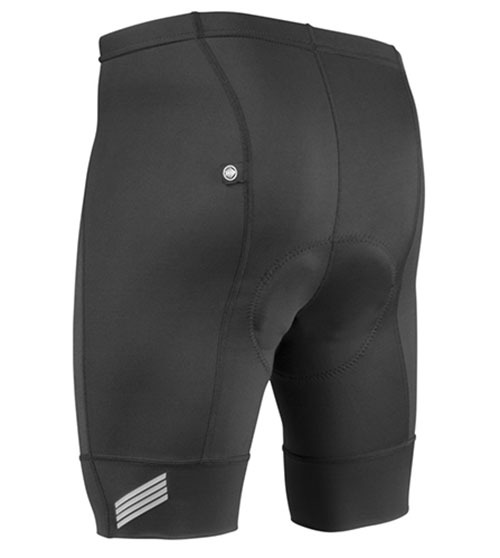 The Century Padded Bike Short is designed for peak performance when cycling. 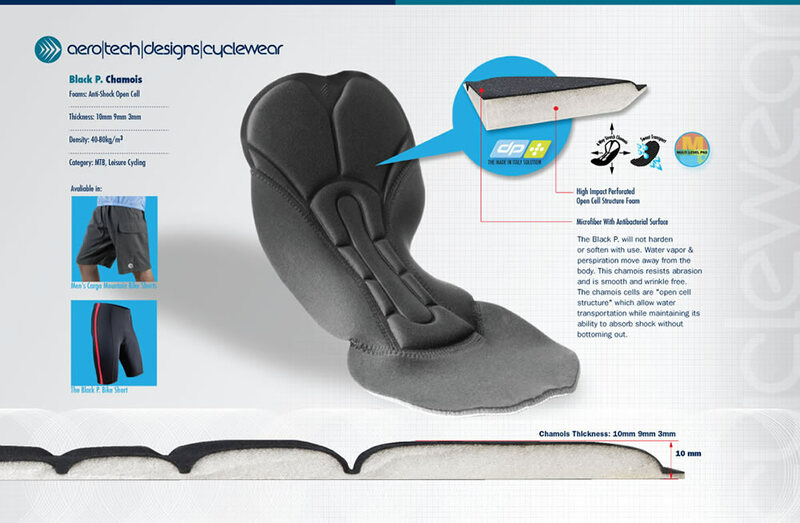 To achieve that goal, we use our century fabric with an excellent chamois pad. CAUTION: This fabric is not a yarn dyed knit like all of our other fabrics, so it may leach color if worn without first washing. Machine or hand wash multiple times until water runs clear before using. Machine or hand wash multiple times until water runs clear before using. Always air dry; do not use a heated dryer. Note to White Saddle users: This item may discolor your white saddle if you wear it before washing. Please follow the same care instructions before wearing these with your white saddle. The compression supports muscles and movement. This reduces muscle fatigue and lactic acid buildup. This blend of polyester and spandex fibers allows for a very soft feel that dries instantly and "sweats well" during your workout. The Black P. Chamois is a most comfortable pad! 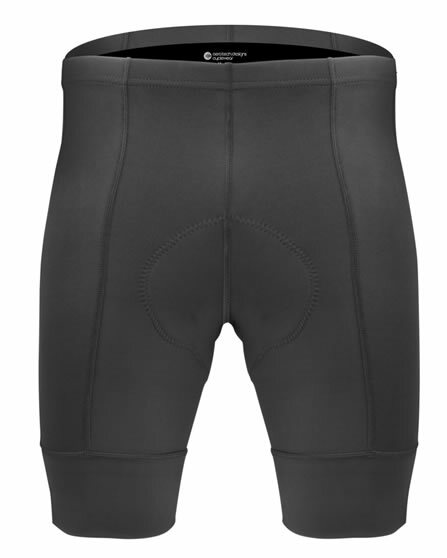 It is made of long lasting anti-shock materials for padding and comfort. This shock absorbing cellular urethane is designed to absorb shock for the life of the short. The pad will not change its properties with usage and will not harden or soften with use. 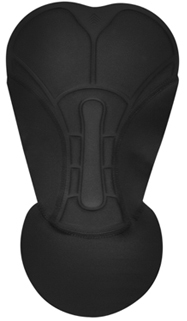 Black P. Chamois Pad is Designed for cushioning and anti abrasion, fits like a glove. Pad Thickness: Two-dimensional 8mm 3mm side anti-chafe wings. 8mm total thickness at the sit bones. Foam: High Impact Perforated. The foam cells are "open cell structure" which allow water transportation while maintaining its ability to absorb shock without bottoming out. Black Pearl has an excellent pad which is a bit thinner than some but which I find is more comfortable on longer rides. Also the pad's extended front panel offers good support where it counts. 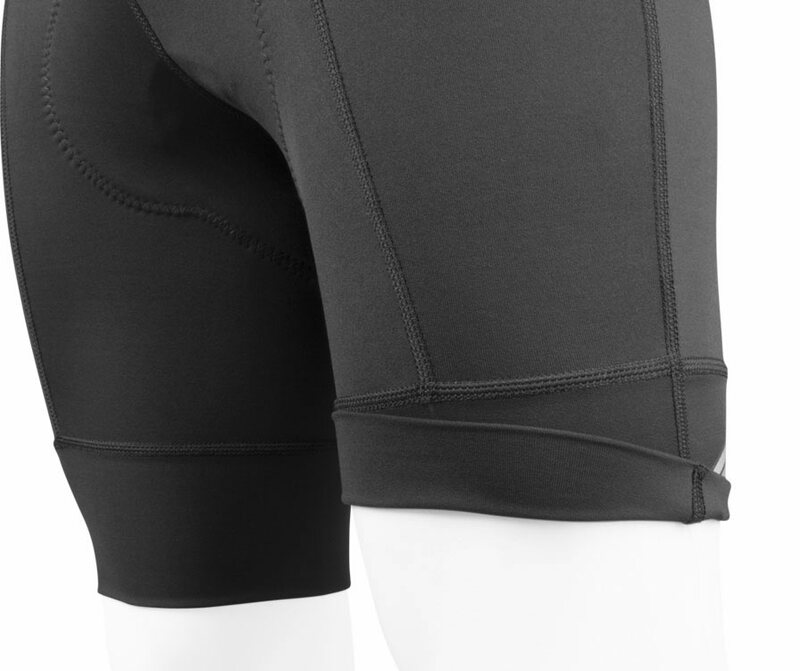 I have tried three different Aerotech shorts and I rate the Black Pearl the best of the three.